The problem I have with the new definition that excludes Pluto is that, if I understand things correctly, it would exclude the Earth from being a planet if Earth was in Pluto's orbit -- because no body smaller than a gas giant could "clear its orbit" in 4.5 billion years when its orbit is so large as Pluto's. OTOH, if Pluto was in Earth's orbit, it would probably have cleared its orbit by now. So basically we're defining planets not on their size so much as on how close they are to the Sun. And that doesn't strike me as a good definition, especially once we start finding Earth-sized planets around other stars (which is really only a matter of time and better space-based telescopes). I agree that the original definition needs some work, but I do think that any reasonable definition is still only going to have eight planets. The inconvenient truth is that there is something special about those eight -- something Pluto and its siblings in the Kuiper Belt (not to mention its cousins in the Asteroid Belt) simply don't have. The current definition captures that to a degree, but it obviously needs some revision -- especially as we find more extrasolar planets. It might be wise to wait a few decades to revise it, though, given that more exoplanet data ought to make it easier to craft a good general definition. For example, it could turn out that having round, coplaner orbits is the most important factor. Laurel: Thanks for the response! I have decided that I have spent too long letting the media and the pluto partisans talk up this "controversy" as if there really is one. Yes, the media will report it until the end of time if some -- any scientist -- says anything, but, like, say, evolution, just because a few scientific holdouts can be found doesn't make the issue unsettled. You conflate so many things. Yes, the definition is bad. No, that doesn't mean Pluto should therefore be a planet. Yes, the voting procedure was flawed. No, that doesn't mean that the vote would ever have gone any other way. I am invested in reality and invite all comers. Laurel, I think it's uncool for you to deliberately misinterpret what the man said. He said yeah, the rule is bad, BUT any good rule would also exclude Pluto as a planet. He also said, yeah, the process was flawed, BUT, any better process would have still generated a rule that excluded Pluto being a planet. These statements are reasonable and rational -- you just happen to disagree with them. Calling them "lies" just makes YOU look bad. @Glaurung: Pluto has only 2.2% of Earth's mass. It's, if anything better compared to Ceres, which has 0.15% of Earth's mass (and therefore 7% of Plutos') - and has not cleared its orbit. And also neither Pluto is at Earth's orbit nor Earth is at Pluto's orbit. We could well argue, that if the Moon or Titan or Ganymede would be in Earth's or Pluto's orbit... but they are in their own orbit and are therefore satellites, moons, and not planets, dwarf planets nor asteroids. The Moon is perfectly comparable to Pluto but nobody questions it's a satellite. And that even if it was considered a planet for many millennia. For all that time there were 7 planets and the Sun and the Moon were the most important among them. I wonder if there was any quarrelling back in its time on whether the Moon, our dear Moon, mistress of tides, definer of the month and the week, goddess of the ancients... should be demoted from its planetary status. Guess so. I think that's roughly what Galileo was tried for: challenging a long standing tradition, full of emotional and even religious connotations. Compared with that, the argument on Pluto's status is a joke. But the essence is the same: emotions and traditions (even if Pluto's tradition is of only some 75 years) vs scientific common sense. Maybe some day an object that happens to be intermediate between dwarf planets and planets is found and then controversy will happen again. But until that happens this status quo is the best possible one: it gives a systematic and rational categorization of the known objects in the Solar System. Laurel, it's a bit naughty to say that you've "only just begun to talk up the debate" as you've been arguing the case for Pluto being defined as a planet pretty much since the decision in 2006! By the way, why were you the third person to comment here? Seems a bit slow. I've come to expect you to be the first comment in any blog post that mentions Pluto. Jupiter sized body orbiting star at about 5000 AU - it gets classified as a "dwarf" planet and is not considered a planet due to its distant orbit - I wonder how the public would take this. Two Earth sized bodies orbit each other nearly 2 AUs from star, how are they to be classified? Neptune sized body orbits a Large Jovian planet - is it only considered a moon? or better yet a secondary planet - maybe we should consider large moons as secondary planets like they used too. Earth sized planet in Lagrange point of a Jupiter sized planet. Round Mimas sized object orbiting a somewhat more massive irregular object. Large irregular object orbiting a red dwarf star close enough to clear its orbit. To really settle this, I think the best bet would be to have two definition schemes for sub-stellar objects, one based off of dynamics and the other on geophysics - and teach this in schools. Dominant planet: orbits star (or co-orbits star with another planet - i.e. a double planet), has enough gravity to greatly effect its orbital region. Small body: orbits star, not large enough to dominate. Geoplanet: has enough mass to pull itself into a roundish shape (includes moons), in other words gravity dominates material strength. Asteroid: not enough mass to pull itself into round shape (includes moons). Comet: any object that forms coma and tail when approaching star, can also be a geoplanet. As for the definition of planet itself, let the public have it and see which direction they sway in. It would be fun to write up the events of the last few years as a murder mystery: Who Killed Pluto? Was it the self-proclaimed Pluto-killer? Tyson, who clearly thinks he did it in 2000? The IAU bureaucrats (probably in a smoke-filled room)? The evil dynamicists? The 'telescope jockeys'? What was the role of the sinister Pluto Underground? You (where by 'you' I might mean 'me', or possibly not) could have a parade of witnesses - Ceres, a free-floating Brown Dwarf, the Moon, a Trojan, and so on. The denoument would be, of course, that no crime occurred, but you could get a raft of bits of interesting science in along the way. If there is an asteroideal belt or sphere of Jupiter sized objects somewhere, what I doubt, I'd be the first (and I'm "public" too) to accept the term or rather as it to be revised to planetoid, asteroid or something like that, as "dwarf planet" was a bad term from the beginning: the definition says nothing about their size. Round asteroid would be better. There is already a term for that: double planet. Won't happen but it's a moon, more technically a satellite. That's a challenging one but extremely unlikely. It'd be a planet-like moon of an irregular asteroid (KBO, whatever). That would be a reasonable technicist solution but breaches the law of minimal effort in language. If all categories we know of do fit in this system (and the system is so far only applying to the Solar System) and the system can include most novel objects as well, maybe barring some extreme very hypothetical cases, then it's ok.
Let the IAU meeting of, say, 2106 review these categories if need be. @Greg: The lies I referred to are: a) Brown's statement that there is no controversy, that most astronomers and lay people have come to accept his version of the solar system and b)any good rule would exclude Pluto as a planet. The first statement is merely Brown's opinion, which the obvious lack of consensus in the field and among the public diplay. The second is also not true because a geophysical planet definition is a good rule and would include Pluto as well as any object large enough to pull itself into hydrostatic equilbrium that orbits a star and is not a star itself. @Maju: The point is not that Earth is or isn't at Pluto's orbit; it's that the IAU definition creates the absurdity in which two identical objects can be classified differently, one as a planet and one as not, just by virtue of their location. Many have argued that spherical moons be referred to as "secondary planets." They are in hydrostatic equilibrium; some are geologically differentiated, and many are more like the Earth than like the gas giants. The "secondary" adjective would refer to the fact that they orbit planets rather than the sun directly. I have no problem with saying our solar system has 15+ primary planets and 100+ secondary planets. The essence of this debate is not "emotions and tradition." It is whether an object should be classified by where it is or what it is or a combination of both. The argument that supporters of Pluto's planethood are motivated by emotion is a straw man. In fact, one could argue that those of us who view the solar system as having a large number of planets rather than a small one are the ones who are challenging a long-standing tradition. That tradition is that planets are so special and unique that there can only be a small number of them in our solar system. "This status quo," meaning the IAU definition is not the best one possible for many reasons. It's fine for you to say that, but don't try to portray it as anything other than one interpretation. If it were really the best, it would stand on its own merits and not generate so much objection from planetary scientists. @Stuart: It seems I can't win no matter what I do. If I were the first to post here, everyone would say I have no life. Now that I'm not the first, it's where were you? The answer is I was living my very full life, including starting another astronomy course, and was not even aware of this post until one of the readers of my blog pointed it out to me. I may very well be "naughty" and a troublemaker (we'll see if I get coal in my stocking in a few months), but my statement that "I've only just begun to talk up the debate" was specifically a reaction to Brown's comments that Pluto supporters are "giving up" and that it is only the media who continue to promulgate the concept of an ongoing debate here. The statement represents my personal promise to step up my efforts in talking this up and getting others to talk it up at a level beyond which I have been doing since 2006. @Jonathan Bowers: Finally, someone who understands that the controversy centers on two different ways of understanding these bodies and recognizes that our solar system has far more diversity than any of our current classification schemes reflect. "If there is an asteroideal belt or sphere of Jupiter sized objects somewhere, what I doubt, I'd be the first (and I'm "public" too) to accept the term or rather as it to be revised to planetoid, asteroid or something like that, as "dwarf planet" was a bad term from the beginning: the definition says nothing about their size. Round asteroid would be better." The term "round asteroid" is an oxymoron. An asteroid by definition is not large enough to attain hydrostatic equilibrium, meaning pull itself into a round shape via its own gravity. Referring to a Jupiter-sized body at any distance from the sun as not a planet is ridiculous. Again, this shows the problem of a definition that ignores what an object is and defines it solely by where it is. The IAU definition also does not allow for double planets, as it requires objects to "clear their orbits" to be considered planets. By their very nature, double planets cannot "clear their orbits" of one another. Nobody did: Pluto is still alive and kicking, just that it is not the oddball microplanet with a very eccentric and inclined orbit crisscrossing that of Neptune at the fringes of our stellar system. Now we know there's a whole bunch of things like Pluto out there, so keeping Pluto in the same category with Jupiter, the Earth and the rest of regular planets, was simply absurd. It was already far fetched as we found that Pluto was much smaller than thought initially but it was just untenable when a whole load of objects of its kind was found out there. So Pluto's and Ceres' category was reviewed. Pluto had to be "downgraded" and Ceres instead was "upgraded" a bit, somehow compensating the "injustice" of having been put at the same scale as much smaller objects in its vicinity (after being considered a planet for some time too). But anyhow, the probably unwilling main causant of Pluto's demotion (not death) is the author of this blog (and all his team and whoever else helped in discovering so much more about the KB and beyond). When new objects like Quaoar and co., Sedna and finally Eris, all very much like Pluto (well, at least Sedna knows where the ecliptic is, which is a planetary quality that Pluto has always ignored), claimed equal status as planets, minor or not, it was clear that some logical solution had to be agreed. I bet that Mike Brown would have been quite happy being acknowledged as the discoverer of not one but several planets. But he's reasonable enough as to acknowledge that these objects are not planets in the usual sense. Probably Tombaugh would have agreed to this need of reclassification of Pluto as well. After all, we know now many things that were unknown back then in 1930s. The term used does not give or take any merit to their work when considered objectively. No one was killed luckily. Certainly not Pluto, which is still one of the few known dwarf planets out there - and actually the second largest one and the most famous one. I'm quite sure that Eris "feels" envy of Pluto's somewhat undeserved fame. "She" would surely like more talk about herself and less "Pluto this, Pluto that..."
- Ceres: What's about this Pluto guy, I was a planet long before anyone heard of him and I'm not nagging so much. I even have loads of water: what other object out there, barring Earth, does? Eris nods with a machiavellic smile. The term "round asteroid" is an oxymoron. An asteroid by definition is not large enough to attain hydrostatic equilibrium, meaning pull itself into a round shape via its own gravity. There is no such definition. The term "asteroid" was apparently not adressed in 2006 and is still undefined, except for the historical literature. Ceres is an asteroid and dwarf planet and, if you are with me in considering KBOs asteroids, then Pluto and Eris are too. For what I can see the term asteroid is similar to minor planet or planetoid, with all its ambiguity, though is often used only or mostly for the inner belt objects. Referring to a Jupiter-sized body at any distance from the sun as not a planet is ridiculous. If it has not cleared its orbit, then it's something quite different from a regular planet. We would expect other Neptune sized objects (at least) in the neighbourhood, crisscrossing their orbits with it. And that's not our typical planet certainly. It would be a challenging situation but I seriously doubt you find anything of that size at such outer orbit without clearing it. I'd say: we'll discuss that when someone actually find such object. It is not the case of Pluto in any case, smaller than several moons, including The Moon. Hopefully nobody is claiming that The Moon should be restored as "planet", right? Ok, maybe there are some corners to be polished. It'll probably happen when one of such double things is found, challenging the status quo. The point is not that Earth is or isn't at Pluto's orbit; it's that the IAU definition creates the absurdity in which two identical objects can be classified differently, one as a planet and one as not, just by virtue of their location. Location is important, right? It's not just size that matters but overall astronomical properties. Location/orbit is an important parameter that, for instance, makes Titan a satellite and not a dwarf planet. I have no problem with saying our solar system has 15+ primary planets and 100+ secondary planets. If you'd do that, you'd still need some kind of term to make the difference between a Pluto and a Mars. Which are different in so many things. Whatever terminology we'd adopt, we still need to make a difference between what is now called a planet and dwarf planet. They are just different, very much so. The essence of this debate is not "emotions and tradition." It is whether an object should be classified by where it is or what it is or a combination of both. Where it is (and therefore how it behaves) is very important. That's why the Moon and the early discovered satellites of Jupiter and Saturn were "demoted" from planets to satellites. That's why Ceres was "demoted" from planet to mere asteroid too. There's a lot of "jurisprudence" on the issue. The argument that supporters of Pluto's planethood are motivated by emotion is a straw man. The very fact that you describe that position as supporting "Pluto's planethood" and not "Eris' planethood" or whatever other phrase... implies that emotions and tradition are heavily involved. Pluto is just nothing that Eris or Ceres (or Quaoar, etc.) are not. It is this category of objects the one to be adressed, not just Pluto. Sincerely, I am much more interested in finding out more about Sedna and whatever lies beyond the KB, than wasting time on this issue. Fair enough I guess. But whatever the stand you still need to make a difference between Eris and Mercury: they are not the same category. I actually think the term "gregarious planet" would be better than "dwarf planet", as it fits much better with the definition but a distinction has to be made in any case. Also would you expand the use of the word planet, strictu sensu, to all kind of round objects, you'd soon be saying something like: "the Solar System has 8 principal planets, plus an array of other objects also described planets, colloquially known as round moons and asteroids". There's just no way that your darling Pluto would not fall into some "other" category. Jonathan Bowers - that's a fascinating list of what-ifs. However, they raise an interesting question of the role definitions play in science: to me, one of the marks of a good definition is that it draws its line in a region where there are few difficult-to-determine cases. As I understand it, the orbit-clearing clause is partly based on theory that basically says that either things will be capable of clearing their orbits or there will be lots of them in the same region of space. This arises from accretional models of planet formation. If the models are right, then we should find that objects are easy to classify, because borderline cases will tend to evolve away from the border. In the case of stellar system bodies, the big ones clear out (or up) the small ones, while the small ones get stirred up and smashed to bits. What this means is that the question is not "what wacky cases can we think up to challenge the definition?" but "are the vast majority of objects classifiable (at least in principle)?" In short, a definition should aspire to be a prediction that borderline case are rare. If the prediction is borne out, the definition is potentially a good one. "Now we know there's a whole bunch of things like Pluto out there, so keeping Pluto in the same category with Jupiter, the Earth and the rest of regular planets, was simply absurd....you'd still need some kind of term to make the difference between a Pluto and a Mars." Agreed. In the words of Dr. Mark Sykes, "that's why God invented subcategories." Placing Earth in the same category as Jupiter is equally absurd. New discoveries mean we will have to add new subclasses of planets. That can be done with adjectives describing the different types of planets such as terrestrial planet, jovian planet, dwarf planet, etc. The objection I and others have is that Pluto had to be reclassified as "not a planet." It is a planet; it is just a different type of planet, a third class of planets. Think of the "Star Trek" system where multiple subcategories were used to describe different planets. We could say the solar system has whatever number of primary planets and whatever number of secondary planets and then divide those into various categories. Location and orbit are important but should not be the only criteria that defines whether or not an object is a planet. Clearing its orbit is not an inherent requirement of planethood. It is a distinguishing factor for several big planets. The dividing line should not be between "planets" and "dwarf planets" but between the multiple subtypes that all fall under the broad term planet. Pluto did not "have to be" downgraded or Ceres upgraded. In fact, one could argue that the initial demotion of Ceres was wrong, as it is in hydrostatic equilibrium unlike the asteroids around it. However, this was not known to 19th century astronomers. What is needed was a new subtype of planet. It is important to distinguish that Pluto is different from most KBOs, as Ceres is different from most asteroids, in that Pluto and Ceres are large enough to be in hydrostatic equilibrium, shaped by their own gravity, and likely are geologically differentiated as well. We will know the latter for both bodies in 2015. I challenge your statemtent about Tombaugh because at the end of his life he knew about efforts to downgrade Pluto from planet status and adamantly opposed them. He might agree with some type of new classification system but not likely with this one created by the IAU in 2006. "Pluto is just nothing that Eris or Ceres (or Quaoar, etc.) are not. It is this category of objects the one to be adressed, not just Pluto." Again, agreed. But Pluto, Eris, Ceres, Quaoar, Haumea, Makemake, etc. are objects that asteorids are not. This most certainly is about a category of objects, not one. The focus on Pluto resulted from objections by astronomers who objected to having "too many planets" in our solar system. If they didn't have this need to keep the number of planets low, Pluto would never have become the epicenter of this debate. Instead, we had astronomers saying "if these objects aren't planets, then Pluto isn't a planet either." Just about everyone who supports keeping Pluto also favors adding these other objects as planets. In fact, it is Brown who puts so much of the focus on Pluto. Why does he constantly say things like "Pluto is dead," "I killed Pluto," etc. Why does he not say "I discovered three planets" or "I discovered 3 planets just like Pluto?" I was refering to a single Jupiter at 5000AU, the're could be smaller debree around. I doubt there would ever be a "Jovian swarm" around a star, but a single Jovian seems quite possible. Also the idea of calling a Jovian planet an "asteroid" just rubs me the wrong way. The public seems to picture asteroids as rock shaped bodies in space, not gas giants with rings. I agree, the current definition seems too focused on where the object is and very little on what it is. Dynamics works best for studying orbits more than studying the object itself. Geophysics works best for studying the object. Substellar objects are objects and they have orbits - so a two-fold scheme seems best to group these into orbital classes and physical classes. Is there anything wrong with having a classification of substellar objects based on hydrostatic equalibrium - we could call them "geoplanets", or "worlds" - or is the orbits all that matters? The orbit matters a lot. It's what makes satellites like Titan distinct from planets like Mercury. It's the orbit that got the Moon "demoted" to mere satellite to begin with. I like the idea of using a common term like "world" or "planetoid" for all sorts of round objects. For some reason it seems that now planetoid just means something like asteroid but I think it'd be much more appropriate for what you say, specially as it means "similar to a planet" (though, well, asteroid means "similar to a star", ahem!). Small debris would mean it has cleared its orbit. It'd need something like a Neptune or several in order to be a complex case. Something as large as the Moon and the handful of dangerous asteroids in Earth's orbit do not alter the essential fact that Earth has cleared its neighbourhood. Apparently there is a large gap of five orders of magnitude (10^5) between the lambda of planets and that of dwarf planets and other "gregarious" objects. I doubt you'll find any Jupiter at any distance with an asteroideal kind of lambda but guess there could be a case somewhere, where an object has an intermediate lambda, making its classification ambiguous. Discussion will re-open when that object is found surely but I guess none of us will be still around by then. Definitions are made and re-made according to historical circumstances. That is clear in this case and any others we could think of. You can only consider this set of definitions within this historical moment. It may not be useful anymore in 50, 100 or 300 years. We'll see. The requirement that an object "clear its orbit" to be a planet is still problematic. Astronomers have discovered an exoplanet system with two gas giants orbiting in a 3:2 resonance with one another, just like Neptune and Pluto. Obviously, neither of these has "cleared its orbit." This shows just one of the problem of solely using this criterion. If small debris means an object has cleared its orbit, what about medium debris. Where is the threshold? This seems much more vague than determining whether an object is in hydrostatic equilibrium. Also, we have found out that many secondary planets (moons) are more like some primary planets than previously thought. Mercury has some resemblance to Earth's Moon, and Titan may be Earth like enough to be considered a terrestrial (secondary) planet. A good classification system should reflect these realities as well. The word "asteroid" does mean star like and was proposed by William Herschel because these objects appeared as star like points of light even in the most powerful telescopes at the time of their discovery. Planetoid, which means planet like, is actually a far more appropriate description for what we call asteroids. I don't think it should be used for large objects because it has come to be strongly associated with asteroids. The original lambda calculation was done by Alan Stern and Hal Levison in 2000. Their findings divided planets into two categories, the larger, gravitationally dominant "uber planets" and the smaller non-gravitationally dominant "unter planets." However, Stern and Levison never stated that "unter planets" should not be considered planets at all. I guess that, if it happens to be true (confirmed), then Gliese 876c is not autonomous from the much larger Gliese 876b and hence is not a full fledged planet. But anyhow the IAU definition was only meant for the Solar System, because the knowledge of extrasolar planets is still in its early infancy. It'd be like nagging at Newton because he did not thought about Relativity. A IAU-definition "planet" is 2an object that orbits the Sun" first of all and Gliese "planets" do not fulfil that condition to begin with. They are exoplanets. Planetoid, which means planet like, is actually a far more appropriate description for what we call asteroids. Why? They are more like potatoes or mountains: they are not even round. Potatoid (just joking) or better something like pebble-like or rock-like would be more apropiate, IMO. In any case the term hominoid (ape) includes humans and the term Mongoloid includes Mongols, it's only logical that the term planetoid includes planets or at least the objects that are most like them, even if not quite. Dwarf planet may prove some day to be inadequate, as it seems to refer to its size, when in fact it is the orbit what matters most. I believe the term was chosen so Pluto would still be a "planet", even if dwarf, in some sort of ill-concieved concession. But it's probably inadequate. However, Stern and Levison never stated that "unter planets" should not be considered planets at all. The name is not the most important matter but the fact that there is a clear division in two categories. If the IAU decission would have been to use uber and unter planets instead, we would be soon saying that that "the Solar system has 8 uber planets" because it's probable that the number of dwarf planets will grow quite rapidly and most people really doesn't care so much about smaller objects, specially when teaching children where they live. I understand that the most important iconic factor of Pluto was that it was (most of the time) the most distant object known in the Solar System, embodying for us, the people who grew up after 1930, the very edge of our hypothetical "territory" of our abstract scientific domain. For that reason we did not really mind that it was just a tiny ball: it was far away, it was unique and was like telling us: "come, I have loads of new things to show you". I believe that's the very call that astronomers like Brown listened to. Today Pluto is not anymore so much that fascinating exotic oddball planet at the fringes of our knowledge. That place has been taken not actually by Eris but by Sedna. Pluto's virtual role as lighthouse at the edge has ended. No we can see many other lights in that area but beyond there is a mysterious reddish light that is again singing, with her seductive mermaid voice: "come, I have something to show you here too". That's what I'm in fact interested in. That's the news from the explorers I want to read about: what is in fact out there along with Sedna? Definitions need to serve a purpose, and it still seems to me that we just don't have enough extrasolar "planetoid" information to let anyone craft a good definition, since we really can't see the distinctions that genuinely matter. It does seem, though, that we'll want the word "planet" to mean "things like the planets we have here." That may well mean deciding that jovian-mass "planetoids" in highly elliptical orbits end up NOT being called "planets." I'm not really qualified to talk about anything since I just have a B.A. in Astronomy and heard Mike Brown give a talk at the Boston Museum of Science a few years back. I'm just an interested amateur who is a little disappointing that there isn't more information on IAU meeting on the web. But, at least I found this blog. 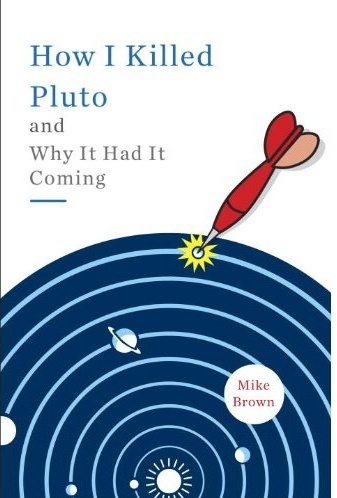 Anyway, despite my lack of credentials, I tend to agree with Mike "Plutokiller" Brown that Pluto is clearly a Kuiper Belt object, but we still have a piss-poor definition of a planet. I'm not sure if we should be expanding the definition or shrinking it, but either choice seems better than the definition by committee we currently have (a.k.a. a camel). By the way, I've been spending the past few weeks cleaning out my grandparents' house and gathering dust in the attic was a very old astronomy textbook form 1902. Curious, I opened it expecting it to be oddly accurate in its planetary enumeration, but was shocked to discover that we had something like 86 planets in the solar system! Apparently, this textbook (which was published before relativity was discovered) counted every single asteroid as a planetary body. Just a reminder of how fluid the definition of "planet" has been over the past century. Anyway, I thought I'd mention the story here since people might actually appreciate it. I got a Biology lab tommorow. Good night..
"I guess that, if it happens to be true (confirmed), then Gliese 876c is not autonomous from the much larger Gliese 876b and hence is not a full fledged planet." This would make no sense at all. It goes back to one of the central problems of the IAU definition. First of all, gravitational dominance is much better terminology than "clearing its orbit." Even using the former, it becomes problematic if we find two giant planets whose orbits cross one another and for this reason, we do not call them planets. It may turn out that orbital resonances among planets orbiting the same star may actually not be rare. "But anyhow the IAU definition was only meant for the Solar System, because the knowledge of extrasolar planets is still in its early infancy." Again, this argues against the IAU definition. How much sense does it make to be establishing a definition only for our solar system at a time when exoplanets are being discovered at a rapid rate? Doesn't doing this go back to the concept of Earth (and by extension, Earth's solar system) being "special?" Even Neil de Grasse Tyson admits that planetary science itself is in its infancy. One could argue that establishing any narrow, hard and fast definition of planet when so much data is yet to be discovered, is simply premature. The problem with using the word "planetoid" is that it has a historical association with asteroids, just as the term "minor planet" does. Being a Kuiper Belt Object doesn't mean Pluto or any object is not a planet. There is no reason why Pluto and the other "unter planets," in Stern and Levison's terms, cannot be dually classed as both planets and Kuiper Belt Objects. "If the IAU decission would have been to use uber and unter planets instead, we would be soon saying that that "the Solar system has 8 uber planets" because it's probable that the number of dwarf planets will grow quite rapidly and most people really doesn't care so much about smaller objects, specially when teaching children where they live." I disagree with several statements here. Stern and Levison never intended for the "unter planets" to fall into some sort of obscurity. Their goal was that we would say the solar system has eight "uber planets" and (currently) five "unter planets." Establishing a definition where "people don't care about the smaller objects" and these end up in some second class status in which they are not taught is a disservice to children and all students of astronomy. Education should focus on the the incredible diversity of the solar system and progress in education should involve adding new information, not subtracting an entire section of the solar system because these bodies are smaller. In anticipation of some people saying, why should planets be taught more than moons, why does it have to be one or the other? At Swinburne, where I am studying, the 12-week unit on the solar system spent an entire two-week period just on the moons of the giant planets. Including dwarf planets does not automatically mean excluding the moons. The definition of planet should remain fluid. In light of the rapid discoveries being made and new data we are uncovering, it would be very helpful in principle to recognize that fluidity is a positive thing, likely to change many times in the future depending on new findings. You probably know that the main real reason was "bureaucratic": depending on which category fell, the object we now call Eris would be entitled to this or that kind of official names. Eris was without a name for really too long and that was because of this argument: were Pluto and Eris planets or something else? One could argue that establishing any narrow, hard and fast definition of planet when so much data is yet to be discovered, is simply premature. Preliminary rather than premature. The definition can and surely will be challenged and revised some time in the future. Nobody doubts that, I believe. But there is no real need to change it at the moment either: it's recent and describes things coherently. IMO it's a weak association. No big deal. "Minor planet" has the same problem as "dwarf planet" though: it seems to relate to size, when size is not the central issue. I disagree with several statements here. Stern and Levison never intended for the "unter planets" to fall into some sort of obscurity. It doesn't really matter what Stern and Levison intended but what in practice people would do (except in Illinois maybe). For anyone who wants a basic knowledge of the Solar System, Pluto, Eris, Ceres... are not items of high informative value but the Inner Belt and the Kuiper Belt, as well as the 8 planets are. So, if we would call the 8 planets, "major planets", we would say (normally) that the Solar System as 8 major planets. Primary education does not need more than that and unless you are an amateur astronomer or someone with some more extensive interest in astronomy (or maybe astrology or whatever other motivation), knowing about the existence of Pluto is not of real interest. It's a matter of just how much informative value Pluto or Eris or Ceres adds to a knowledge of the Solar System that includes the 8 oficial planets, the two belts and the vague reference to "beyond the KB", maybe associated to the knowledge of Sedna (but just because it's the only object we know of out there). Certainly knowing about the heliopause and the solar magnetic field is much more informative in fact. In the past Pluto was highly informative, now that value has been absorbed (and improved) by the KB. Guess that at some time the same happened with Ceres. Establishing a definition where "people don't care about the smaller objects" and these end up in some second class status in which they are not taught is a disservice to children and all students of astronomy. It's not the definition what creates the informative value but the real fact that Pluto is just a KBO and the KB as such is much more informative than Pluto in this regard, the same that most people know about Polynesia but may have never heard of New Caledonia. The concept that the South Pacific Ocean is full of small islands is much more valuable and fundamental than the knowledge of each of the main islands that form that region. And that's how children are taught and we teach ourselves as well. We can only understand Fiji if we understand the basic concept of Polynesia or maybe Oceania first. Similarly to properly understand Pluto, understanding the KB is much more fundamental. The KB is a definitory element of the Solar System. Pluto would not make any difference if it was not there. IDK: it's like Greenland and America. It's much more fundamental to understand the concept of America than that of Greenland, no matter that Greenland (from a European viewpoint) was known from a much earlier time. When we are explained the Earth in our childhood, we learn of the continents and oceans first and foremost, big islands are just less relevant. LOL sounds like "cosmological multiculturalism". There is not such "incredible diversity" IMO: there is the Sun, the 8 planets and their satellites and other less important stuff, mostly clumped in two "belts". You can dig deeper but those are the essentials. Pluto, Eris, Ceres... belong to the "less important stuff" category: they are gregarious objects that are best described as collective entity. I feel like you're telling me about the "individuality" and "diversity" of the great herds of gnus of the Serengeti, sincerely. Sure: there must be some of that. At Swinburne, where I am studying, the 12-week unit on the solar system spent an entire two-week period just on the moons of the giant planets. Are you talking of primary education or specialized higher schooling? I'm obviously talking all the time about the most basic levels. There is always a further improved understanding but the basics don't need Pluto. And that is what the IAU definition reflects: that Pluto does not have anymore fundamental informative value: it's just a specially large "brick", but just one, of a huge "wall". First learn about the wall and then, if you are interested, look at the bricks in detail. In your case, I fear it's valid to repeat that "the trees don't let you see the forest". Pluto is just a large tree in a very vast forest. @Maju: First, my name is Laurel, not Lauren. With all the posting I've done, it's surprising to see someone still get this wrong. "Bureaucratic reasons" are terrible motives for creating any scientific definition. It should be the science, not politics, that drives these decisions, and one would expect PhDs in astronomy to know that. The discoverer of new planetary bodies is the one who names them. Mike Brown could easily have suggested the name Eris without the need invoking a convoluted process to establish a flawed, hastily created new planet definition. The IAU's inability to manage its own bureaucracy should not be a reason for scientific decisions. I strongly disagree with your statement that the IAU definition describes things coherently. It does not, for reasons I stated earlier, such as classifying objects solely by where they are while ignoring what they are and by virtue of the vagueness of the concept of clearing an orbit. "It doesn't really matter what Stern and Levison intended but what in practice people would do (except in Illinois maybe). For anyone who wants a basic knowledge of the Solar System, Pluto, Eris, Ceres... are not items of high informative value but the Inner Belt and the Kuiper Belt, as well as the 8 planets are... So, if we would call the 8 planets, "major planets", we would say (normally) that the Solar System as 8 major planets. Primary education does not need more than that and unless you are an amateur astronomer or someone with some more extensive interest in astronomy, knowing about the existence of Pluto is not of real interest." And here we are talking values, not science. I strongly disagree with the idea of teaching only eight planets and two belts of objects. First, I believe there is value in teaching primary school students the fact that there are some spherical bodies (small planets) in these belts that are different than the majority of the other objects there. Pluto is a binary system, the only one of its kind in our solar system. It is likely geologically differentiated. What New Horizons finds about Pluto will likely apply to the other dwarf planets as well. Treating Pluto as just another KBO blurs the distinction of its being in hydrostatic equilibrium and shaped by its own gravity. Even in primary school, kids can understand that there are multiple categories of planets, and that each category has its own unique characteristics. You want to exclude an entire category, and I continue to maintain this is a disservice to children. It all seems to come back to the fact that you do not want dwarf planets classified as a subcategory of planets. "There is not such "incredible diversity" IMO: there is the Sun, the 8 planets and their satellites and other less important stuff, mostly clumped in two "belts". You can dig deeper but those are the essentials. Pluto, Eris, Ceres... belong to the "less important stuff" category." Again, this is a matter of values, a choice of teaching the solar system in only a superficial way or emphasizing the many types of objects it has. Between the different types of moons, the possibility of subsurface water on some bodies, the existence of small planets that behave more like planets than like asteroids in belts, volcanism, moon formation, ring systems, etc., the solar system IS incredibly diverse. I find it sad that anyone would withhold this information from children, who are often fascinated by astronomy and the solar system. You are so emphasizing the forest that you are missing the uniqueness of the individual types of trees. Understanding Pluto is key to understanding a whole class of dwarf planets regarding composition, orbits, formation, etc. I could never support any education program that eliminates this information and goes back to teaching a 19th century view of the solar system, which basically amounts to "dumbing down" the subject. I am pretty sure that primary school children can perfectly understand that Pluto (and why Pluto and not Eris, or Qauaoar, etc.?) is just a geeky obsession of some people with no real importance. I sincerely hope that the names and physical properties of the dwarf planets doesn't go in any exam in any case, no matter how geeky is the teacher. You're going in circles, Laurel (took note of the typo): you just have an emotional attachment to Pluto (wonder why) and will go to any length in order to get 6 years olds having to write the word Pluto in their exams, preferably mentioning also charon, Tombaugh and the phrase "hydrostatic equilibrium" perfectly spelled. But no need to study the phrase "clearing the neighbourhood" until advanced astronomy courses, I guess. For children and basically literate people it's enough to know of the Sun, the 8 planets and the two belts. Pluto's status is a cultivated knowledge, which guess will be studied in secondary school, wherever they teach some astronomy at all (I always learnt on astronomy as self-education, here there was a lot of emphasis on sciences, maths, history and grammar but really not any on astronomy or cosmology). If you tweet, the #IAU tag (if tag is the right word) works, though you'll get some tweets in Portuguese, too. Actually, as far as kids go, here's how I explained it to my nieces and nephews when they asked me. "When we first found the Asteroid Belt, people thought those were new planets too. But as time went by, they found more and more and the realized just how tiny they were and how odd their orbits were, so they quit calling them planets. Exactly the same thing happened with the Kuiper Belt. Pluto by itself looked like a planet, but together with its sisters and its cousins and its aunts, it seemed less so. Add the fact that they're all (even Pluto and Eris) smaller than our moon, and that they have crazy orbits, and it's obvious it was just a mistake to have called Pluto a planet in the first place. When Science makes a mistake, it corrects it." The eight planets have a lot in common; they're round, their orbits are round, they're in the plane of the Sun's equator, and they're so massive they dominate their orbits. All but Mercury have atmospheres, and perhaps if we were making a definition from a clean slate we'd demote Mercury to "planetoid" too, on grounds of size, ellipticity of orbit, and airlessness. Maybe. That aside, the inner four are rocky with rocky moons. The outer four are gas giants with icy moons. This is a very neat and logical grouping of bodies with countless common features. You cannot logically add Pluto without adding Ceres, Eris, and probably a hundred more objects -- objects which have a great deal in common with each other, but not so much with the eight "real" planets. Another way to look at it is that the solar system comprises the Sun, eight planets, and "leftovers." Pluto is definitely one of the leftovers. "You cannot logically add Pluto without adding Ceres, Eris, and probably a hundred more objects -- objects which have a great deal in common with each other, but not so much with the eight "real" planets." I and others who want to use the broader criterion of hydrostatic equilibrium as the key to determining planethood have NO problem with there being more than a hundred planets. This need some have to artificially keep the number of planets low so the solar system looks neat and clean is an emotional preference. Yes, we do have to add all objects in hydrostatic equilibrium. That just means we describe the solar system as having four terrestrial planets, four gas giants, and if this is the case, 100 or more dwarf planets. Maju and Greg are repeating the same arguments as well. You do not place value on hydrostatic equilibrium, which tells us significant information about how an object formed and how it acts today geologically and meteorologically. I am not saying discount dynamics; what I am saying is adopt resolution 5b from the IAU GA of 2006 that would establish two categories, "classical planets and dwarf planets," under the umbrella of planets. Orbital dynamics is the factor separating these two classes of planets ("uber planets and unter planets"). Pluto looks like a planet because it is a planet. In fact, with a solid surface, a large moon, an atmosphere, and geological differentiation, it is far more like Earth than Earth is like Jupiter. It is far more like Earth than it is like asteroids or shapeless KBOs. Exoplanet systems that have planets with eccentric orbits abound. The eccentric orbits do not alone exlude objects from being planets if they look like planets, have the composition of planets, and in many ways behave like planets. Otherwise, we would end up with a huge population of exoplanets that are not planets at all. What then are there? Doesn't it make more sense to cite eccentric orbits as one of the features of the planetary subclass of dwarf planets? Greg, you note that when science makes a mistake it corrects it, but you only told part of the story about Ceres. 19th century astronomers could not resolve Ceres into a disk. Today we can and know that it is spherical and in hydrostatic equilibrium, making it significantly different than its neighboring asteroids. Therefore, the original designation of Ceres as a planet was right and should be reinstated. Scientific mistakes, when based on erroneous information, are one thing. They are different from interpretations, where everyone is looking at the same data but interpreting it differently. The only scientific mistake regarding dwarf planets was the IAU making a decision based on politics rather than science. "You're going in circles, Laurel (took note of the typo): you just have an emotional attachment to Pluto (wonder why) and will go to any length in order to get 6 years olds having to write the word Pluto in their exams, preferably mentioning also charon, Tombaugh and the phrase "hydrostatic equilibrium" perfectly spelled. But no need to study the phrase "clearing the neighbourhood" until advanced astronomy courses, I guess." I guess you're some sort of mind reader since you presume to know my motives in this debate. Whenever supporters of the IAU definition want to discredit their opponents, they go for the argument that the opponents' position is based on emotions. This is nothing but a straw man and an ad hominem attack. I support the planetary status of Pluto, Ceres, etc. because unlike you, I view hydrostatic equilibrium as a critical factor. I never said I wouldn't teach kids the concept of gravitational dominance. That comes in the explanation of what separates the two planet classes of classical planets and dwarf planets. Exams are the last thing on my mind; learning is about much more than just tests. It is about conceptual understanding. This topic is an essay question, not a true or false. What I want to see is kids presented with both competing views with the accompanying arguments and then encouraged to draw their own conclusions. What I don't want them to experience is having the edict of 424 partisans dictated to them as fact or limiting our teaching of the solar system to eight big objects and withholding from kids the fullness, diversity, and latest discoveries on the subject. :Pluto looks like a planet because it is a planet. Ganymede looks like a planet, yet under most definitions "that the general public is accustomed to", it is not a planet because of where it is. :It (Pluto) is far more like Earth than it is like asteroids or shapeless KBOs. Not sure I agree that it is "far more" like Earth than a large centaur. Pluto probably has about as much in common with a *large* centaur as it does with the Earth. Granted most centaurs should not be spherical. But they could estimate Ceres diameter based on an upper imit. This is something we did not do correctly with Pluto until closer to the 1960s because of too many assumptions about the great "Planet X". :Today we can and know that it (Ceres) is spherical and in hydrostatic equilibrium, making it significantly different than its neighboring asteroids. Once again I am not sure that Ceres will turn out to be that much different from say Vesta. Depends on what one means by "significantly different". Many scientists believe that Asteroids and KBOs are "significantly different" than dominant objects. This is as much science as it is politics. I do not believe you can say the IAU is wrong for choosing a different defintion than what some wanted. Pluto is only a "double planet" because of its small size and thus lack of gravitional dominance over Charon. Any statement such as 'A is more like B than C' depends on some sort of metric applied to the (mathematical) space in which A, B and C reside. Your choice of metric will affect which things count as being similar. If you're a geophysicist, you have a different metric from a dynamicist. If you're a plasma physicist, you'll come up with something different again (comets, Mars, Venus and (probably) Pluto in one group, Mercury, Ganymede, Earth and the giant planets in another, the Moon and asteroids in a third). So the question is, which discipline gets dibs on the emotionally charged and historically freighted word 'planet'? That's a political question, to be settled by a political process. Like a vote in the wider community. Which is what happened. Mike's right. It's over. @vagueofgodalming: No it's not over just because partisans of one side say it is. Whether any discipline and if so, which one gets "dibs" on the term planet is not something that can be decreed by edict. If a political rather than a scientific process is needed, that is a sure sign that something is missing, that maybe we simply need more data to create an accurate classification scheme. Or maybe multiple classification schemes are called for. That is also a viable option. A vote in the "wider community?" A vote of 424 people out of 10,000 plus many more planetary scientists who are not IAU members in no way represents any "wider community." What happened in 2006 was one special interest manipulating the process and breaking the IAU's own rules to get the result they wanted. And until electronic voting is permitted, it will never be possible to get more than at most 25 percent of the IAU membership to participate (about 2,000-2,500 usually show up at the beginning of each General Assembly). Just because you call something an open process does not make it so. Saddam Hussein called the elections where he won with 100 percent of the vote democracy, yet it clearly was not. Ganymede can in fact be considered a secondary planet. While it directly orbits Jupiter and not the sun, its geophysical characteristics are very much akin to those of the terrestrial planets. If most centaurs are not spherical, then what exactly does Pluto have more in common with them than with terrestrial planets? Pluto is 70 percent rock; centaurs are mostly ice. Many centaurs have unstable orbits that will eventually expel them from the solar system; Pluto in contrast has a stable orbit. No centaur is anywhere near as large as Pluto. It is unlikely that any centaurs have an atmosphere and weather or are differentiated into core, mantle, and crust, as both Pluto and Earth are. Ceres may not turn out to be that different from Vesta, but both objects may in fact be quite different from the shapeless asteorids around them. Vesta has a near spherical shape but is missing its south pole, meaning it likely once was in hydrostatic equilibrium and then was impacted by a large body that broke of that south pole. When Dawn flies by Vesta and Ceres, it will be interesting to compare findings between these two bodies and even more, between these two bodies and the much smaller asteroids. Vesta, like Ceres, may very well turn out to be in hydrostatic equilibrium and therefore a tiny planet rather than an asteroid. "Many scientists believe that Asteroids and KBOs are "significantly different" than dominant objects. This is as much science as it is politics. I do not believe you can say the IAU is wrong for choosing a different defintion than what some wanted. Pluto is only a "double planet" because of its small size and thus lack of gravitional dominance over Charon." Asteroids and comets are also significantly different that objects large enough to be shaped by their own gravity, with the resulting geological processes. The IAU is wrong by choosing a definition that blurs this distinction. If there is not enough science to make a good decision, resulting in the process being driven by politics, then it is better to wait and make an informed decision once more data is available, and we know it will be as of 2015. Pluto's being a small planet has nothing to do with Charon. It is a small planet by virtue of its geophysical composition. What makes the Pluto-Charon system a binary is that the barycenter they orbit is not within Pluto but between the two objects. This same phenomenon could be true of a binary system with two large planets. It depends on how large the moon is in respect to its parent planet. Pluto is nowhere near as massive as Mercury (being only 1/25th). Considering you spend your time defending the protoplanets, I am surprised you would bring up size. :Pluto is 70 percent rock; centaurs are mostly ice. Pluto is estimated to be up to 70% rock. Given how many centaurs there are, I am confident many centaurs are close to half ice / half rock. Pluto and the centaurs did form in the same region of the solar system. Pluto=Earth: spherical/differentiated. Pluto=Centaur-like: Pluto only has a temporary atmosphere when it is near perihelion, this is the same process that causes a coma around a centaur when it is near perihelion. / Both Pluto and the centaurs have orbits controlled by the gas giant(s). The Pluto-Charon system being a true double planet is somewhat strange. This is only true if we define a "double planet" as a system where the primary (larger) body is gravitionally too weak to keep the barycenter inside of it (yet another "where it is rule"). If Charon orbited Jupiter it would be "significantly" less impressive than any of the Galilean moons. Dwarf planets really can be considered to be immature protoplanets that are more massive than asteroids, but not large enough to dominate their region full of many similar sized objects. Our moon is not a true planet and most people seem to be ok with that. Our moon is not a true planet and most people seem to be ok with that. I am not. The Moon is obviously much more important for us than any of the other planets, anyone who looks at the sky or lives at a coast can tell you. I also think she should be again considered a goddess (or god - at least in Japan), as in the good old times. Furthermore I request to the IAU that geocentrism is considered to be equal in rights to heliocentrism. After all, Einstein dixit, all depends from the viewpoint of the observer. Seriously: nice array of factoids and good arguments, Kevin. Mike, make sure you get a night out of town to appreciate the southern sky! I've looked up data on the masses of Mercury, Pluto, and Chiron. It seems that the mass of Chiron is an estimate and not known to an exact figure. Mercury will of course be the most massive, as it is a rocky planet, and those are the most dense. Its diameter is 4,880 km. Pluto's diameter is 2,274 km., and yes, 70 percent rock is an estimate; the actual composition will be known only when New Horizons flies by the planet. However, it is not half rock/half ice as are the centaurs. It may have formed in the same region as they did, but it developed differently, becoming large enough to be shaped by its own gravity and entering a stable orbit around the sun. Many of the centaurs have unstable orbits and will one day be ejected from the solar system altogether or crash into other bodies. In size, Chiron is estimated to be between 180-258 km in diameter, and its composition is thought to be similar to that of a cometary nucleus, which is composed of rock, dust,and frozen gases. Some centaurs very well may be half ice and half rock, but are any large enough to be in hydrostatic equilibrium, be geologically differentiated, and have an atmosphere? Whether a system constitues a double planet depends on the size and mass of both objects in the system. If Earth were orbiting Jupiter, it would be a moon too, not a double planet. Two very large planets could also orbit a common barycenter between them if they are close to the same size. If Pluto orbited Jupiter, it still would be interesting based upon its composition and the possible presence on it of a subsurface ocean that could harbor microbial life. Clearly, these are three unique objects, all very different from one another. :Some centaurs very well may be half ice and half rock, but are any large enough to be in hydrostatic equilibrium, be geologically differentiated, and have an atmosphere? Depends on your definition of Centaur. Using an extended definition (non-resonant object whose perihelion is less than the osculating semi-major axis of Neptune) the answer would likely be yes. But even using the classical definition Chariklo (around 258km) and 1995 SN55 (lost? and ~300km) may both be close to spherical and have temporary atmospheres. We do not know the mass of any centaur. Ironically the more ice a large centaur has more the more spherical it will likely be. Does Pluto need to be in the same category as the "dominant 8 planets" simply because it is spherical even though it is made from the same mix of rock, dust,and frozen gases as the centaurs? This is part of the reason that it is good to have a category of objects between large asteroids and dominant planets. Moons are defined by where they are, so are "dwarf planets". The traditional difference between an asteroid (cis-Jupiter) and a centaur is location. "Does Pluto need to be in the same category as the "dominant 8 planets" simply because it is spherical even though it is made from the same mix of rock, dust,and frozen gases as the centaurs?" The answer is there needs to be a subcategory of planets to encompass objects large enough to attain hydrostatic equilibrium but not large enough to gravitionally dominate their orbits. Uranus and Neptune also have significant ice composition. They are grouped with Jupiter and Saturn even though Jupiter and Saturn are mostly composed of hydrogen and helium while Uranus and Neptune contain other gases. Uranus and Neptune may have some type of cores. Earth and Pluto are both rocky, spherical, in hydrostatic equilibrium and differentiated. Many objects in the solar system share at least some characteristics with objects that fall into different categories. Just because dwarf planets share some common features with centaurs doesn't mean they belong in the same class. As I already said, the orbits of centaurs are highly unstable, and these objects will not survive as sun-orbiting bodies for a long time astronomically. In contrast, dwarf planets are likely to remain in their orbits for the duration of the solar system's life. It would be a great idea to send a flyby mission to Chiron and one or more of the centaurs. That would give us some really valuable information. :there needs to be a subcategory of planets to encompass objects large enough to attain hydrostatic equilibrium but not large enough to gravitionally dominate their orbits. We call them (spherical) moons and dwarf planets. This is not as bad as you make it out to be. We have had "dwarf planets" orbiting planets for years and the general public never complained. :Just because dwarf planets share some common features with centaurs doesn't mean they belong in the same class. The point is that the largest centaurs will look a lot like the smallest dwarf planets. How would dwarf planet candidate Huya compare to the largest centaurs? :dwarf planets are likely to remain in their orbits for the duration of the solar system's life. I suspect we will find some (non-resonant) dwarf planet candidates (perhaps with perihelion inside of Neptune) that are not stable. And yes, they may be on inclined orbits that take thousands of years, and thus may not even be discovered yet. Even some of the resonant objects are not in stable long-term orbits. "We call them (spherical) moons and dwarf planets. This is not as bad as you make it out to be. We have had "dwarf planets" orbiting planets for years and the general public never complained." Like I have said many times, my problem is not with the term "dwarf planets" but with the fact that dwarf planets are characterized as not planets at all. This is a relatively simple thing to change, but it will resolve a lot of the problem here. I have to research Huya, as I am not familiar with its characteristics. However, it's very clear that planetary bodies, like stars, come in a continuum from the smallest dwarf planets to sub-brown dwarfs with several Jupiter masses. The centaurs seem a lot more icy than the dwarf planets and a lot smaller, but again, we really need to send a probe to explore them in more depth. And there very well may be dwarf planets in unstable orbits, but Ceres, Pluto, Haumea, Makemake and Eris are not among them. ...the fact that dwarf planets are characterized as not planets at all. This is a relatively simple thing to change, but it will resolve a lot of the problem here. There's no real problem to be solved and would cause many others. Obviously the people who took that decision and who is reasonably satisfied with it, also have their reasons. However, it's very clear that planetary bodies, like stars, come in a continuum from the smallest dwarf planets to sub-brown dwarfs with several Jupiter masses. It depends of what you consider a "planetary body". For me they come in all sizes: from dust particles to black holes. You're focusing on one particular characteristic that fits your ideology (funny that Pluto has become an ideology for some, btw), which is that Pluto should be a planet no matter what and for that what fits best is the hydrostatic equilibrium and the fact that is orbiting the Sun, like Earth and Jupiter are. But would you choose other characteristics, like the having any sense of the plane of the ecliptic or the famous clearing the neighbourhood criterion, then you have to admit that Pluto is different and different in the specific way that all KBOs are, round or potato-shaped. So Pluto is a KBO first and foremost though it's within a sub-class that includes the ones that look more like real planets. I still think the best way to go would be a two-pronged definition of planet, let the IAU concern with only the dynamical definition and let planetary scientist agree on a physical based definition -let both be equally valid, because both studies are important. Consider the word "fruit" it has a two-fold definition, there is fruit in the botanical sense and fruit in the culinary sense - a cucumber is a fruit in the botanical sense, but not in the culinary sense. Rhubarb is a fruit in the culinary sense, but not the botanical sense. A peach fits both types. The big 8 (Mercury - Neptune) are planets in a dynamical sense as well as in the physical sense. Io, Europa, Titan, the Moon, Pluto, Eris, Ceres, and Mimas are planets in the physical sense, but not in the dynamical sense - let the word "planet" be used either way - just like the word "fruit" could be used either way. Planet used in a dynamical sense could use words like dynoplanet, major planet, or dominant planet. Planet used in a physical sense could use words like geoplanet, world, or planemo. I'm having the feeling that this is a very cultural issue. My main language is Spanish and I would have never thought of rhubarb as a fruit in either sense (it's a veggie, like lettuce or cabbage). But guess we can agree for other pseudo-fruits like berries or figs or true fruits like the tomato. Whatever the case, what matters in this case, from a scientific viewpoint is the biological concept, obviously. Cuisine is a technology or an art but not really a science. I also fail to see a clear "physical" definition that is strictly different from the "dynamic" one. Hydrostatic equilibrium can be seen as some sort of dynamics, while orbital characteristics can be perfectly considered physical attributes. And finally there is a saliva economy matter, that may seem silly but is fundamental to language dynamics. So a planet is what is fundamentally similar to the usual planets (Earth, Jupiter, etc.) in all aspects and something that is similar only in some aspects but not others is just not a planet but something else. We already have to resort to adjectives to mark the distinctions between the different types of planets: rocky, gas giants, etc. So please do not make things more complicated and if you need it, use some other word like "planetoid" for whatever category you wish (for instance: round things in orbit around a star, regardless of other no less important characteristics). Maju, it's worth noting that many of the people who argued for a dynamical definition at Prague are not native English speakers (some, indeed, being Spanish speakers, though from South America). I've often wondered what difference that makes to ones take on this issue. No idea. I can see the difference re. rhubarb, because nobody here would consider it "a fruit" (actually it's mostly considered an exotic herb and most would need to check a manual or encyclopaedia to find out what it is) but this kind of culinary differences are common (I live with an English and I know from daily experience). But re. planets it would seem that there's no difference. Though I can understand that some people from the USA feel attached to Pluto's planethood for nationalist reasons - reasons that are not scientific and that the rest just do not care about. No, Maju, let's leave the nationalism out of this discussion. I don't buy it. I don't believe the average American cares who discovered the bulk of the dwarf planets, any more than most of us care about the World Cup, other than as a quadrennial curiosity. There are nationalists, sure, but I am not one of them. I do agree that the primary issue here is cultural and linguistic. That analogy about the distinction being blurred in common speech between "fruit" and "vegetable" is an apt one. As a native English speaker, I'm bothered a great deal that the term "dwarf planet", which consists of an adjective plus a noun, is being treated by the IAU like a compound noun. It doesn't feel natural. It doesn't look natural. Perhaps it's different in Spanish. You would have to tell me. I became fluent in Spanish when I lived in Mexico for a year, but don't understand all of the nuances of the language. If the IAU were to adopt the resolution they considered three years ago, that "dwarf planets" are merely a subcategory of "planets", that would be enough for me. No doubt Spanish children would be taught about eight major bodies in the solar system, and perhaps American children would be taught about nine or ten. Fundamentally, it doesn't alter our understanding about the solar system that much, just as long as the students understand that the smaller bodies are members of asteroid belts and the like. The trouble with linguistic arguments from non-linguists is that they're rarely well-thought-through. "Dwarf planet" is no worse than "minor planet". For that matter, "American Dream" is also a compound built from an adjective and a noun -- the language is filled with them. Since "dwarf planets" are not currently considered to be real planets (just as moons are not), be careful what you ask for. They could come up with a new word for "dwarf planets" removing all obvious traces of being planet-like. We all know the term "plutoid" did not go over well even though the IAU was just completing the requirement of Resolution B6 by naming the category. I frankly think the name "dwarf planet" is a decent compromise. I am more concerned with defining major moons than I am the status of Pluto. Well, I know that in some parts of the USA (but not anywhere else that I know of) there have been brainwashing activities directed to mobilize schoolchildren, who otherwise would not care less, to "save Pluto". In some states there have been initiatives to make sure that Pluto is officially a planet within the borders of that administrative division. Obviously it has nothing to do with praising Brown and his discoveries of "planet Eris", "planet Haumea" and "planet Makemake" and possibly several others. They seem only concerned about Pluto, Pluto and nothing but little Pluto, which has been historically the only generally acknowledged planet discovered by a US citizen. True that, under the current definition, only two planets have been really discovered in the Solar System, so there's no so much room for famous planet discoverers anyhow. And Neptune was hotly disputed already at the very time of its discovery. So, IMO, there is some important nationalist ("patriotic") element in this discussion. Vagueofgodalming asked if there could be a cultural issue in this and that is the only one I can find. Because I was raised watching a kids' program called "Destiny Pluto" and I really don't have any emotional attachments that make me react with any disgust because Pluto's destiny as lighthouse of our explorations has been fulfilled and is to be demoted to non-planetary status after all. But maybe I could have some issues if the discoverer of Pluto was not some guy from Illinois but a Basque, the same I always react when some people claim that was Magallaes and not Elcano who first circunnavigated Earth. So, yeah, I think these emotional issues can be of some importance and I can't but really admire and praise the strict scientific adherence of Brown and even Tombaugh (for what his widow says) in this aspect. The term "dwarf planet" has only been in use for three years and many members of the public as well as astronomers have major problems with the determination that dwarf planets are not planets. Saying the public "never complained," in light of the active discussion online and in public forums over the last three years, is disingenuous. In astronomy, the term "dwarf" is almost always used as an adjective. Dwarf stars are a subclass of stars, and dwarf galaxies are a subclass of galaxies. Assigning dwarf planets as a subclass of planets fits in perfectly with existing usage of the term "dwarf." "There's no real problem to be solved and would cause many others. Obviously the people who took that decision and who is reasonably satisfied with it, also have their reasons." Here is the same denial, the same pretense that no controversy exists. The very problem is those who made the decision--424 out of 10,000 IAU members, most not planetary scientists, in a proceess that violated their own bylaws. Many delegates who left early had no idea that a new resolution would be put on the floor, or they would have stayed to vote. Of course, that small group is satisfied--they got their way. We know their reasons--preference for a solely dynamical definition. But they are not the only ones whose views matter. If large numbers of professional astronomers are not satisfied with the definition, something is clearly wrong. I think the concept of "clearing the neighborhood" is useless. Every planet orbits with asteroids, and Neptune hasn't cleared its orbit of Pluto. Applying this concept literally could therefore exclude every planet in our solar system. A better term is gravitational dominance, the central characteristic of "uber planets" in Stern and Levison's study. However, there is no reason for gravitational dominance to be the determining factor regarding an object's planet status. It is certainly important but alone, it tells us nothing about what that object is. "So Pluto is a KBO first and foremost though it's within a sub-class that includes the ones that look more like real planets." Again, since you're repeating yourself, this is a value judgment. Why is Pluto a KBO first? Why is it not equally a KBO and a small planet? Both geophysical and dynamical characteristics are equally important. Maybe we do need to have two parallel planet definitions, a dynamic one and a geophysical one. They simply represent different ways of looking at the same objects. "Since "dwarf planets" are not currently considered to be real planets (just as moons are not), be careful what you ask for. They could come up with a new word for "dwarf planets" removing all obvious traces of being planet-like. We all know the term "plutoid" did not go over well even though the IAU was just completing the requirement of Resolution B6 by naming the category. I frankly think the name "dwarf planet" is a decent compromise." Dwarf planets are not considered planets only according to the IAU definition. That is just one interpretation. The IAU used the same closed process in the "plutoids" decision, not even informing leading planetary scientists that this was under discussion. It's time to involve a broader group of scientists than just the IAU, as they have shown poor judgment in this time and time again. "So a planet is what is fundamentally similar to the usual planets (Earth, Jupiter, etc.) in all aspects and something that is similar only in some aspects but not others is just not a planet but something else." It is a stretch to say Earth and Jupiter are "fundamentally similar." Just what does this term mean? Earth and Jupiter are only similar to one another in some aspects too. In others, Earth and Pluto are more similar to one another. Who decides, and what criteria get priority? Finally, here we go again with the claims that it's only Americans who care about Pluto's planet status and that opposition to the IAU decision is motivated by emotional concerns. Just because some people keep repeating these same tiresome lies does not make them true. It doesn't matter who discovered Pluto. If the discoverer were of another nationality, that wouldn't change the fact that the issue is the centrality of hydrostatic equilibrium. Lay people and scientists from around the world continue to object to the IAU definition or to ignore it entirely. Almost all who do argue that all dwarf planets should be counted as planets, not just Pluto. In fact, the person who lobbied the Illinois legislature to pass its resolution owns a website titled "Dwarf Planets Are Planets Too." The demotion of Pluto has actually detracted from children and adults learning about the new planets. Had Pluto been left alone, media and educational focus would have been largely on the exciting fact that our solar system now has three new planets. Instead, more people know about the Pluto debate than even know that these little planets exist. There might be more praise of Brown if people knew that he discovered three new planets. To the end of his life, Tombaugh opposed any efforts to downgrade Pluto from planet status. He did not live to see the discovery of Eris, Haumea, and Makemake, but the chances are, he would likely view them as planets as well. I did not say that. What I mean is that what Earth and Jupiter (and Mercury and the other classical planets) have in common is what defines a planet in the context of the Solar System. The demotion of Pluto has actually detracted from children and adults learning about the new planets. Had Pluto been left alone, media and educational focus would have been largely on the exciting fact that our solar system now has three new planets. In this you do have a point. But it is still something regarding emotions, publicity, the imaginary... not the scientific "factualist" debate. There might be more praise of Brown if people knew that he discovered three new planets. Probably. But he seems to be ok with having the record of dwarf planets discoveries. And in this sense, I'd like to emphasize again the importance of Sedna, even if it's by the moment just a candidate for the status, because Sedna is "the new Pluto" in that sense of being the most distant and enigmatic object known in the Solar System. Tombaugh had fought off other attempts to relegate Pluto, but his widow said this time he probably would have endorsed the change, now that other planetary objects have been discovered in the Kuiper Belt, the belt of comets on the edge of the solar system where Pluto resides. "He was a scientist. He would understand they had a real problem when they start finding several of these things flying around the place," Patricia Tombaugh said. For the same reasons that Ceres. Essentially because it is a gregarious object that belongs to a much larger population of similar objects and not an individualist "monarch" of its orbital zone. That is what the "clearing the neighbourhood" condition is about. "What I mean is that what Earth and Jupiter (and Mercury and the other classical planets) have in common is what defines a planet in the context of the Solar System." This could easily be contested, considering just how different Jupiter and the gas giants are from Earth and the terrestrial planets. What do Jupiter and Mercury have in common? Mercury has no atmosphere and no moons. Jupiter has no solid surface, and like the other gas giants, hosts an entire "mini-solar sytem" of its own. Its composition is more akin to that of the sun than to the composition of Mercury or Earth. All of this comes back to the same value judgment. You give primacy to dynamics, to the issue of an object "clearing its orbit." That is why you view Pluto as a KBO first and then as a small planet. The same is true of Ceres. Your arguments always go back to where the objects are rather than what they are. That is a legitimate position, but it is not the only one. The geophysical view is that Ceres and Pluto--and all objects--should first be defined by what they are--their composition, whether they are geologically active, etc. We're back to the two competing views, and each is equally legitimate--meaning we can agree to disagree while still acknowledging there are two equally valuable ways to understand and classify objects in the solar system. "But it is still something regarding emotions, publicity, the imaginary... not the scientific "factualist" debate." You admit that the end result was people learned less about the new planets than about the demotion of Pluto. What does this have to do with emotion? How is putting primacy on hydrostatic equilibrium any more (or less) based on emotion than putting primacy on dynamical dominance? This is a factual, scientific debate. It has nothing to do with emotion. What is imaginary about these concepts? It's not like this is the first time in science that there are two competing ways of interpreting the same data. In fact, some could say those preferring dynamical dominance are motivated by emotional concerns, as many seem particularly wedded to keeping the number of planets in the solar system small even if that is done by arbitrary and artificial means. Tombaugh's immediate family members were at the Great Planet Debate, and felt very strongly that he would not have accepted this definition. He might have accepted some sort of revision, such as creating the dwarf planet subcategory for objects like Pluto, provided they were still considered planets. However, it is very unlikely he would have accepted this particular definition (the one the IAU adopted). The first KBOs were discovered in 1992, and Tombaugh died in 1997, so he was well aware of this debate. Even Neil de Grasse Tyson notes that he attended many conferences on this issue and vehemently opposed any reclassification that made Pluto not a planet. In fact, David Levy, his biographer and a signatory to Stern's petition rejecting the IAU definition, promised Tombaugh at the end of his life that he would always defend Pluto's planet status. I wrote: "We have had "dwarf planets" orbiting planets for years and the general public never complained." You replied: "Saying the public "never complained," ... is disingenuous." You do seem to like to twist things, ie. comparing the IAU to Saddam Hussein. When the Voyagers showed "dwarf planet-like bodies" (spherical moons) orbiting Jupiter in 1979 I don't think the general public took to the streets to have spherical moons re-classified as planets. They didn't because of where the objects where located. Yes, I know that directly orbiting the Sun *can be* treated as more important, but does not change the fact that some categories are defined by *where they are*. It is interesting to note that the middle two gas giants have more major moons than the two gas giants that perturbed the asteroid belt (Jupiter inward) and Kuiper belt (Neptune outward). Whew. I go away for a week and look at what happens on the comment boards. @Dave: I have looked through a bunch of astro texts from 1800-1900, when the number of planets was steadily increasing, but I had never been able to find one past 1900 that hadn't gone back to eight. Fascinating! @Chuck: It was the full moon, so there weren't too many constellations to see, but it is amazing how disoriented I get when I look up and the sky seems unfamiliar. "Alan Stern, a planetary scientist at the Colorado-based Southwest Research Institute and principal investigator for NASA's New Horizons mission to Pluto, turned down an invitation to speak at the IAU's Rio meeting. "I'm not there because the IAU seems to have become irrelevant," he told me today via e-mail." Any chance for the term "Dwarf Planets" be changed to "Planetoids"?